In an age where the dying are increasingly seen as a burden on society ? where euthanasia is being touted by some as the ?moral, ? as well as convenient choice ? this guide will provide fortitude for your journey. The rich tradition of the Catholic Church and the wisdom of others who have been through this experience before you will provide comfort and encouragement. Use this practical guide to help you: See that your fears, worries, and even the odd moments of humor are perfectly normal and all are part of this process of letting go Understand what resources are available through the Church Find the right words to answer honest and practical questions Discover the beauty, grace, and even the joy, that can come from departing this earth on God's time. 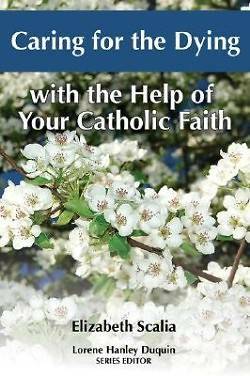 Part of the ?With the Help of Your Catholic Faith Series from Our Sunday Visitor, Caring for the Dying With the Help of Your Catholic Faith is an excellent resource for family members, friends, hospice volunteers, and other concerned caregivers.